My mum was a bit nervous about me coming halfway around the world. But I couldn’t have picked a better place to study engineering. I came to Macquarie for the first time to participate in the FIRST Robotics Australia Asia Pacific Invitational, an international robotics competition for high schoolers hosted by Macquarie. My team had won the World Championship that year, so we were invited to come to Australia for the competition. While we were here, I took a tour of the uni and fell in love with the campus. Everything sort of snowballed from there. My mom was a bit nervous about me coming halfway around world, which is understandable. But how could I turn down the opportunity to study in another country? It was – and still is – one big adventure for me. Now that my degree is in full swing, I think I couldn’t have picked a better place to come. The engineering community here couldn’t be more supportive. I am involved with several extracurricular activities, including Macquarie’s robotics program. It’s tight making time for everything (including sleep!) but it is definitely worth it. I have been truly welcomed into Macquarie’s engineering family. 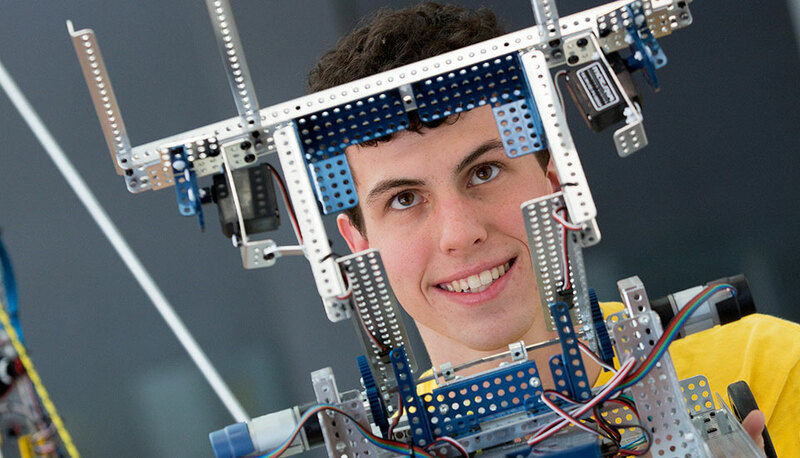 Help create tomorrow’s technology with the Bachelor of Engineering (Honours).